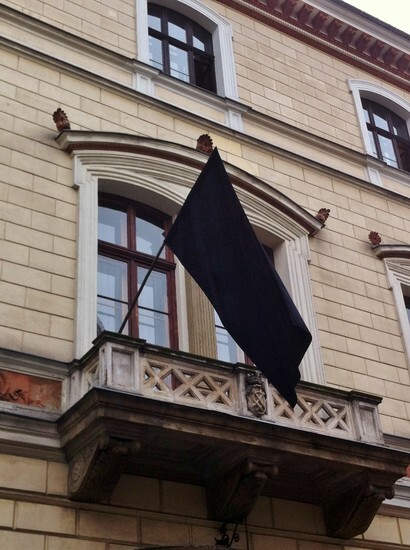 If you’re in Kraków on November 6th, also known in PL as 'University Remembrance Day,' you may notice black flags solemnly hanging from many of the buildings around the Old Town. 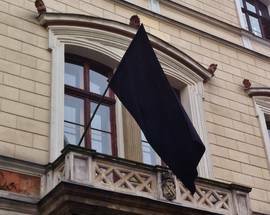 This is to commemorate the victims of ‘Sonderaktion Krakau’ - a German terror operation carried out during the Nazi occupation of Kraków. After the invasion of Poland that officially started World War II, the Nazis set about culturally crippling the occupied country by eliminating its intellectual elite. 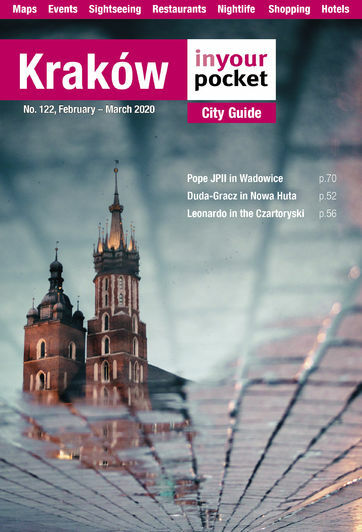 Kraków, Poland’s cultural capital, was an obvious target as the Nazis intended to Germanise the entire region. 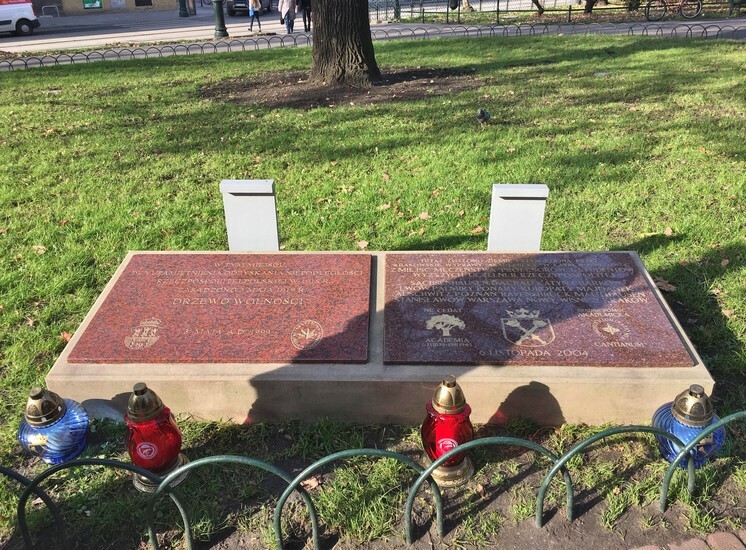 Jagiellonian University, the second oldest university in Europe, was deemed to be of particular danger to Nazi plans of brainwashing the population, and under the codename Sonderaktion Krakau, the Nazis orchestrated an attack against Jagiellonian’s academics. On November 6th, 1939, German authorities ordered all professors to attend a lecture on ‘German plans for Polish education.’ When 183 professors, staff and students gathered (under armed obligation) in lecture hall 66 of Collegium Novum, as you can guess, no lecture took place and everyone in the building was arrested. 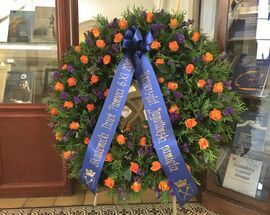 The flimsy pretence was that the university was ‘operating without German consent’ and all 183 detainees (of which 142 were UJ professors) were immediately rounded up and sent to Sachsenhausen or Dachau. Although initially spared the gas chambers (this was before the Nazis really ramped-up their death machine), the dire and disease-ridden conditions of the concentration camps in winter were enough to claim the lives of 15 professors before international outcry actually succeeded in pressuring the Germans to release some of them. In February 1940, 101 professors over the age of 40 were released, though 5 were already in such poor physical condition that they died within days. The other 62 arrested inevitably became victims of the concentration camps. 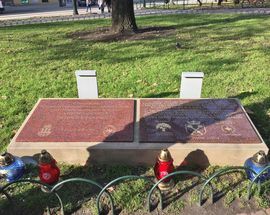 Upon returning to Kraków, those professors who had survived the purge formed an underground resistance university in 1942, of which Karol Wojtyła – the future Pope John Paul II – was a student. 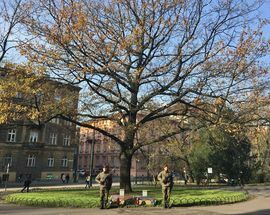 Today a memorial tree and plaque stand in front of Collegium Novum, commemorating those professors who died or disappeared. 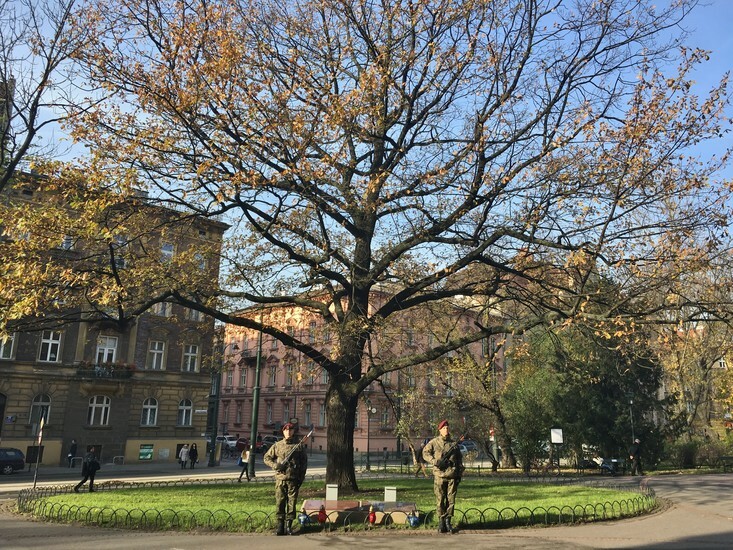 Two soldiers stand guard alongside the tree, and black flags are hung from all university buildings each year on November 6th.